Resilience is "the ability to provide and maintain an acceptable level of service in the face of faults and challenges to normal operation"
And like I promised in one of my earlier posts, I would love to explore the similarities and differences in approaches to engineering for resilience in IT vs Aerospace industry. Typically the impact of the system failure in space is higher. LOM (loss of mission) and LOC (loss of crew) terms may sound like tech jargon to an outsider but these are real people, whose lives depend on the systems' ability to survive various failure conditions. And even mission costs themselves are usually measured in tens or hundreds of millions of dollars. Having said that, some of the IT failures can result in catastrophic consequences too (think SCADA as an example). But before we dive deeper, I would like to cover some basics. Some of you may find this post boring. There will be even some maths. And I remember this quote from Stephen Hawking's "A Brief History of Time": "Someone told me that each equation I included in the book would halve the sales"
And yet I believe that it is important to get the foundation right. So let's get started. Many systems can be logically viewed as a set of connected elements/parts/components that form this system. Those parts may fail with various probabilities and the overall system reliability (or a probability of the whole system failure) depends on and can be calculated from the reliability of its components. In the series systems a failure of ANY components results in (overall) system failure. P(Xi) - probability that component Xi remains operational. 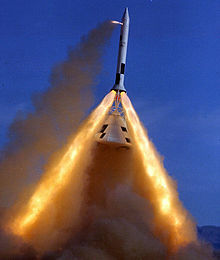 Example: A rocket with 2 engines or a 2 node shard. Each component remains operational with the probability 0.9 - what is the overall system reliability? As you can see the overall series system reliability is lower than the reliability of its components. we can deduce an even stronger statement (the "weakest link" principle): the overall series system reliability is less than the reliability of the least reliable component. In the parallel systems ALL components must fail for the whole system to fail. P(Fi) - probability of failure of component Fi. Example: A rocket with 2 engines and an engine-out capability or a 2 disk RAID1 array (we assume that these components are independent - e.g. an explosion of one engine cannot affect the remaining engine). Each component has a 0.1 probability of failure (i.e. reliability=0.9) - what is the reliability of the overall system? Opposite to series system - in parallel system the overall system reliability increases as the number of components increases. I.e. adding more components increases overall reliability. We also know this approach as redundancy. Improving reliability of the most reliable component delivers better results - an important fact to know when designing/optimising parallel systems. In series systems we can achieve better outcomes by improving reliability of the least reliable component. Series and parallel systems are 2 simplest scenarios. A slightly more complicated case is "k out of n" systems. These are systems that fail if k or more components fail. E.g. an airplane with 4 engines that can fly with 1 engine failure (but if 2 engines fail then it can't continue the flight). Or a RAID 6 disk array - it can continue its operations (in recovery mode) "in the presence of any two concurrent disk failures". It's easy to see that with k=1 we have a series system and with k=n we have a parallel system. It might be tempting to keep adding more and more components to continue improving reliability. But we need to be careful here. Additional components come with a cost. Inevitably we need to spend more money. There is also another cost involved - more weight/volume required (which is a critical factor for space missions). It is also very important to understand how our system fits (as a component itself) into the global system. Know the context/full picture - don't over-engineer your system as there might be other compensating controls in place that would help us achieve desired reliability goals. And if we consider how these 2 systems together form a larger system, we might arrive to a different conclusion. E.g. it might be easier/more efficient/more viable to focus on higher reliability of the escape system. See how the main goal of flight safety of 0.999 ("three nines") can be achieved by 3 VERY different approaches. Case 1: we have a really bad (but presumably simple/cheap to build) launch vehicle - it is going to fail every second launch!!! But it is OK because our escape system is extremely reliable. We may not see many missions reaching orbit but our crew will be safely returned back to Earth. Case 2: a better launch vehicle (will fail in 1 out of 10 launches) and a decent escape system (optimum reliability) deliver the same "three nines" flight safety with a higher degree of confidence in mission success. Case 3: another extreme - our launch vehicle is SO reliable that we don't even need an escape system at all. With the 0.999 reliability we can entrust our crew to this launch vehicle alone (not sure if the crew is going to appreciate it though - there is a certain psychological aspect knowing there IS a backup plan). Without knowing anything about the escape system it would be impossible to properly design our part of the project (the launch vehicle). We would end up either over-engineering it or not providing adequate reliability.